American is the story of one of the most influential comedians of the modern era. Even though Bill Hicks died over 16 years ago, his reputation has continued to grow. He is still regularly found in top 20 polls of ‘best’ comedians, and is regarded by many as the 'comedians' comedian' - such is his high regard. This recording is a lasting record of his life, based on hundreds of interviews across America, as told by the people who knew him best. The principal characters in his life had never all spoken at one time before. 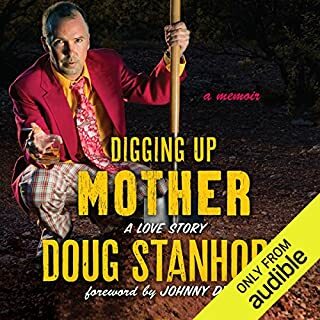 They include his mother, Mary Hicks; his brother, Steve; his sister, Lynn; and his closest friends: Dwight Slade, Kevin Booth, David Johndrow, and many of the ‘Houston’ gang of friends and comics. Bill’s comedy sought the bigger truths of life, and he openly challenged the government in the USA, ensuring that he was never able to gain a mainstream television audience in his own country. His take on everything from smoking, drinking, drugs, the military, and music, were unique and absolutely hilarious. 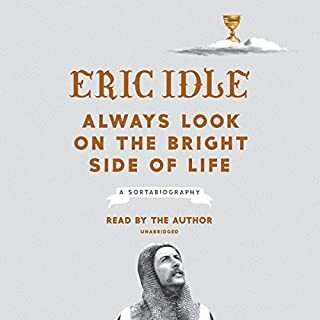 Music for Bill and his close friends was an obsession, and some of that recorded work can be heard as a soundtrack on this audiobook. 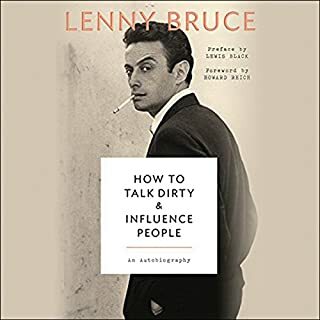 Some of his best comedy performances can be heard here also: including recordings from way back in tiny clubs in Houston in 1979, to the big international festival Just For Laughs, and his Revelations tour in London. 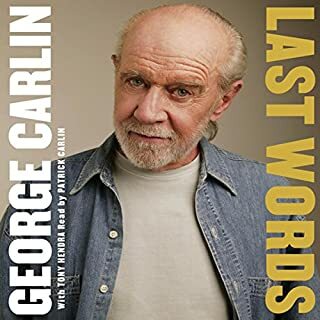 This recording preserves Bill’s story, bringing together his journey, his friendships, and some of his finest comedy moments - all recounted by the people who knew him best. Great story but not worth the price for how short it is. Will now look on YouTube for more Bill Hicks footage. Bill Hicks is fantastic, funny....and wise. In my opinion he's in the top five best comics ever. Carlin, Pryor, Williams, Lenny & Hicks. Thank the one Love consciousness that I was on the planet during the same 32 years that Bill was. Primary Issue: This is the audio-only version of a good documentary. However, this exact audio is available on Spotify, and the documentary is available on youtube. Do not spend your hard-earned cash on this when its available for free elsewhere. Bill Hicks' comedy is sublime and cutting and beautiful - I recommend watching the documentary. Much detail is lost in this version. This is a really entertaining listen and a great introduction for the non-initiated. Highly recommend this. 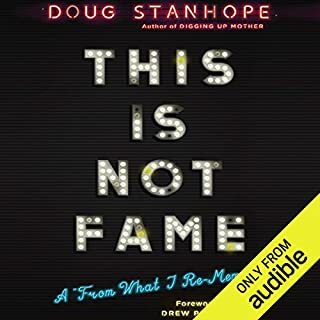 More like a good radio documentary than a book, loved it even if it made me sad. I loved every second finding more out about bills life from friends and loved ones in a very interesting documentary style, along side some amazing music and bills stand up. 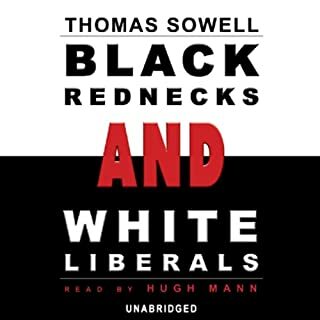 Love Bill Hicks, but like the cover picture he is gagged in this audiobook. Its a story of his life recounted by close friends, relatives and colleagues, interjected with snippets of him performing stand-up. Problem is, that the format just does't work for me. You are listening to a witness account, then suddenly you are whisked off to hear one of his anecdotes, which has nothing to do with the story from the witness. Then, you get into the joke being told by Bill, hear the laugh from the audience and are taken back to another witness account about something else. You end up not knowing where you are. Do one or the other, i.e., tell the uninterrupted story, then let him speak, or better still just put the whole show on. Bill Hicks isn't one liners, but tells a story, and little snippets like this just does not work. why to the greatest die young?. we're running out of time now. it's time to evolve or die. the slave masters are soon to be recognised. Where are the conscious comedians at? The love one feels for this man is overpowering. A true rebel inspired by passion and the love for education the saddest thing is his comedy shouldn't really be classed as comedy he was a thought provoker and we only laugh out of irony because that is how bad the world really is. As sad is it is that planet earth lost him we were lucky to have him. Thank you Mr Hicks for everything. An inspiration to so many in and outside the realm of comedy. Made you realise that comedy is not just some flippant form of entertainment. That it is from people who have thought about life which is sadly something missing from most people.